If you have read about personal development, whether it is goal-setting, time management, motivation, weight loss, or the many other categories and have not taken hold of what you desired, chances are that you’re lacking an inner drive towards that elusive goal. At one time of another we have all purchased books, CDs, tapes, scoured the internet, and maybe even attended seminars, but yet you find that you fall short of your wish or you don’t even come one step closer to what you set out to do. We may recoil and ask ourselves “Why do I keep failing? Am I supposed to just stay who I am today? Is this my lot in life? For many years, I too, did the same. Here is an analogy to put things into perspective. Think of the books read, the cd heard and the seminars attended as a flame. 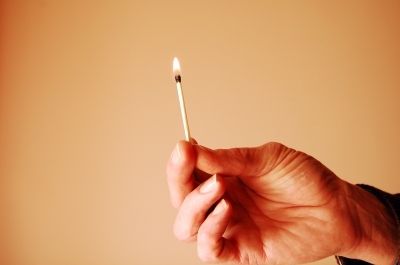 This flame has an extremely powerful potential, but it needs FUEL to burn;It has the potential to ignite and create a large fire. These steps we take create an internal flame within us. They pump us up and make us feel good about ourselves. However, it doesn’t take long until we find ourselves not moving forward or losing ground as we enter into a helpless state of depression and fear. Is it that we are tired of worrying about being able to put food on the table, provide clothing, and shelter? Now that it is clear why we want to improve, make it a strong fear. Using the financial example: we are struggling to create and provide the necessities. Create the fear that one day we will be unable to provide, or that for once in life we want to give without worrying about the financial burden. This is our fear. This is the fuel needed for the flame to ignite into a roaring fire and keeping it burning strongly. So the next time you feel you do not have what it takes to meet that elusive goal, recall the fear of what could be. Pull out that fear and use it to propel yourself forward on the path of excellence. By asking yourself “what could be”, you will avoid yourself saying later “what could have been”. You are a champion of excellence.